We know that sound is nothing but oscillations generated in the air. By creating disturbance in the air at certain frequencies we are able to create an audible noise. The frequencies that may be audible to different beings are different. For example humans are able to hear frequencies between 50 Hz and 20000 kHz comfortably. Hearing becomes obscure once the frequency shifts away from the above range. However frequencies below 50 Hz especially around 15 Hz are found to be quite unique and intriguing with their features. The sound falling in this range is termed as infrasound. Amazingly humans subjected to these frequencies often complain of unexplainable uneasiness and a chilling experience. Areas infested with ghosts and paranormal activities have been also seen to be carrying these infrasound vibrations. In another classic example, it has been witnessed that in jungles, carnivorous beasts like tigers and lions are able to generate sounds at infrasound levels. Herbivorous animals are able to sense these signals especially when these carnivorous animals are too close to them. The generated infrasound vibrations produce serious impact over these poor herbivorous animals – they freeze with fear and are just not able to move an inch. This makes them like sitting ducks and they are instantly grabbed by the deadly beasts. A simple idea for generating infrasound artificially is described in this article. Although the applications of this project are quite insignificant, you may use it to create vibrations in a closed premise, invite your friends there and study their reaction under the generated creepy environment. Don’t worry- it’s not dangerous. The secret behind generating effective infrasound is creating a sort of “pumping" action over an enclosed volume of air at the specified frequency. To be precise the air volume needs to be resonated at the specified frequency. 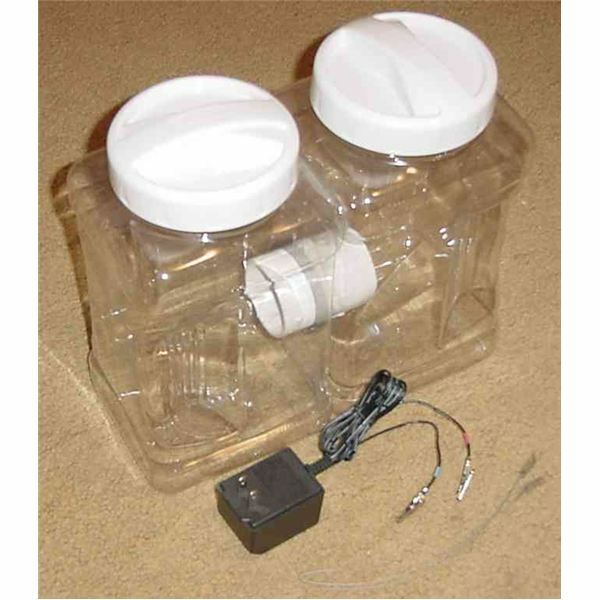 This is best done by channelizing the sound waves through pipes or narrow columns before throwing it into the room. 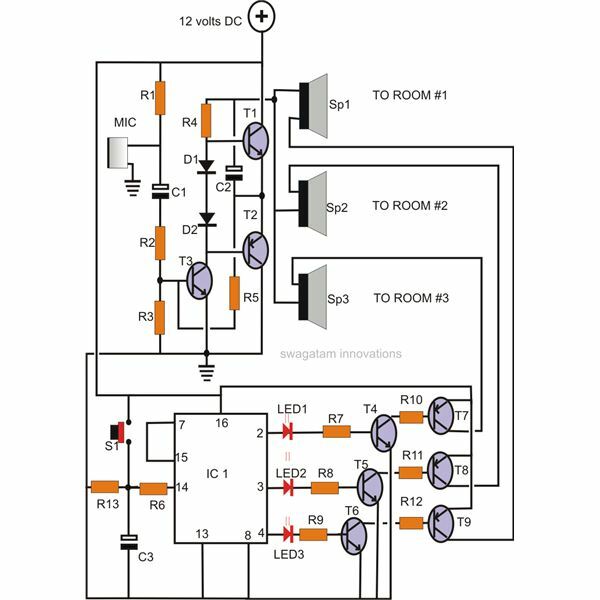 The figure alongside shows a circuit basically comprised of an amplifier with the required loudspeaker set-up. 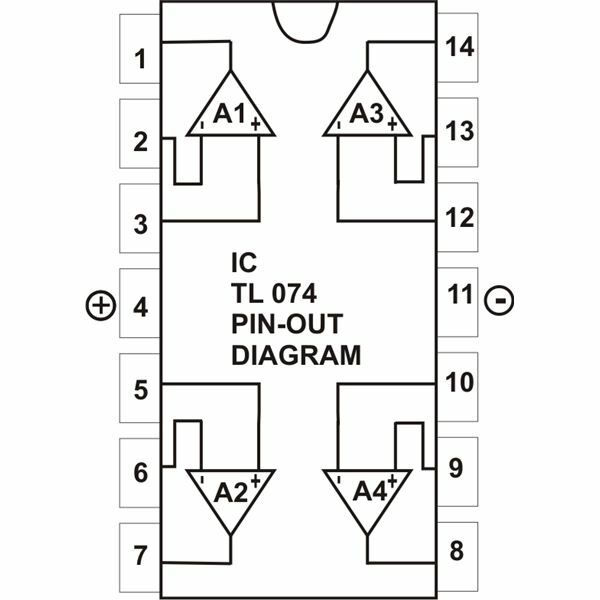 The chip TDA 1521 used here consists of two discrete amplifier modules in one package and is able to produce a good 12-watts of audio power from each channel – quite enough for the present application. 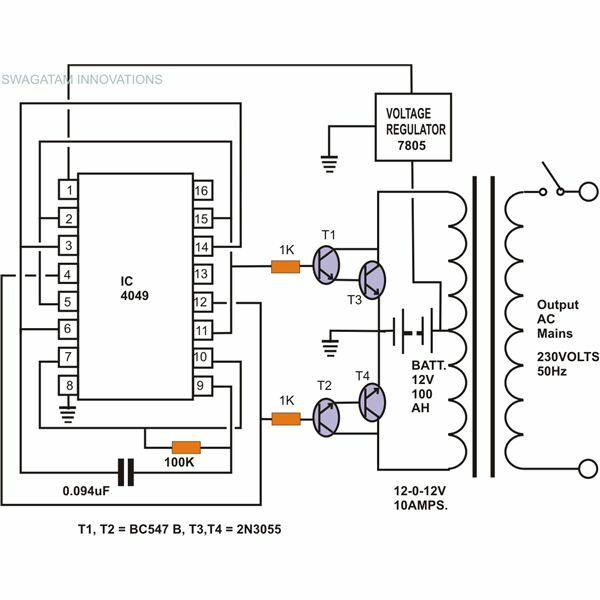 However the amplifier needs to be fed with a frequency input for it to reproduce them over the attached speakers. 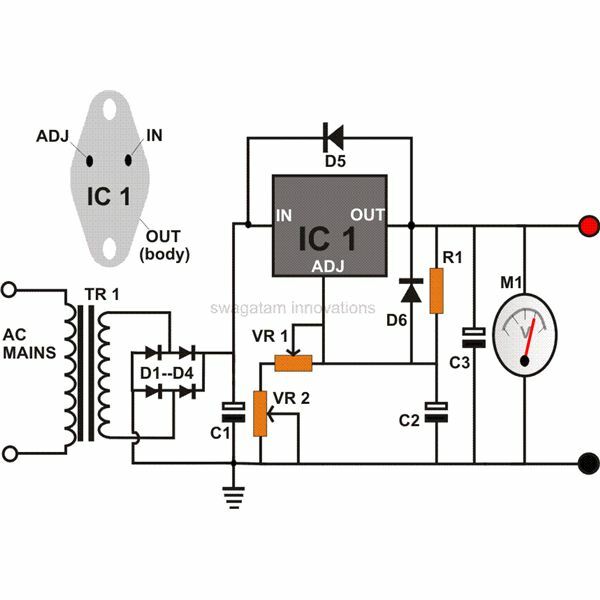 Many simple oscillator circuits have already been discussed here at Bright Hub, so you may choose any one of them to generate and feed the specified frequency of around 15 Hz to the above amplifier inputs. 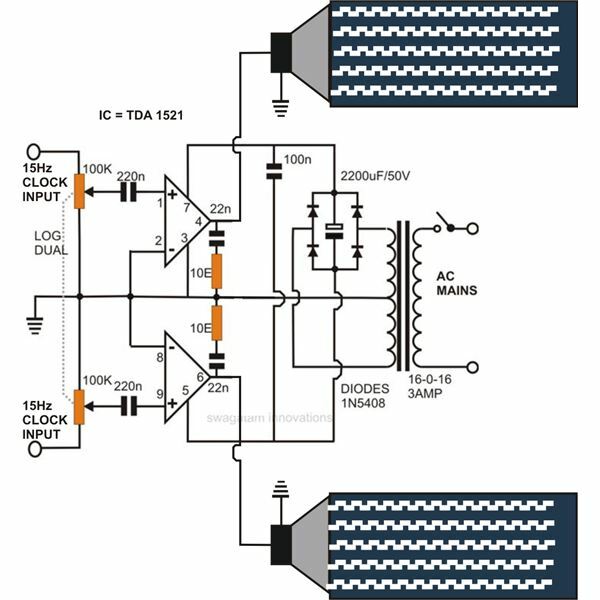 The information regarding various oscillator circuits are provided at the end of this article. The speakers used are specifically “woofers" to enable the handling of the produced low frequencies (infra-level) efficiently. Preferably use 12-inch models with 40 watts of power handling capacity. The pipes also need to be of the same diameter. The diagram also shows the speakers snugly fitted within hollow, flexible PVC pipes (with corrugated walls). Switching ON the system will instantly start the generation of the vibrations at infrasound levels and if the volumes are kept sufficiently high, you will find the nearby objects also vibrating and falling down of the shelf quite weirdly – the vibrations being totally “invisible." If you position yourself in front of the speakers of this infrasound generator, the impact will be immediately felt – uneasiness and an inexplicable “chill in the spine." The above shown simple oscillator circuit can be built for feeding the infra sound amplifier circuit. 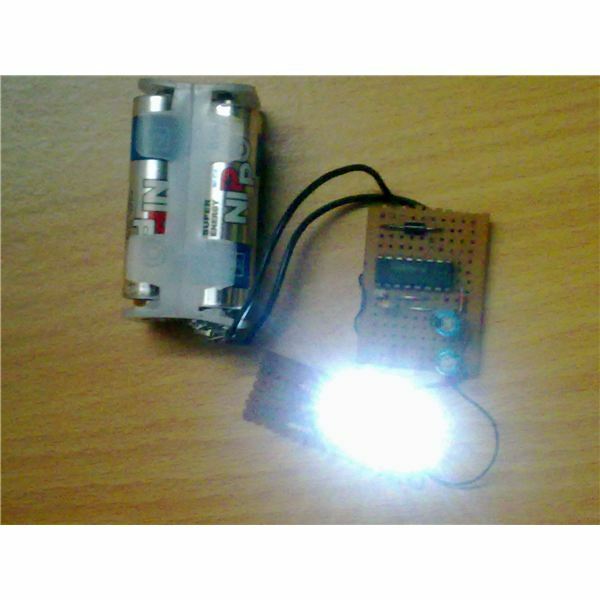 It utilizes the famous IC 555 in its most common mode, i.e. in the astable multivibrator mode. The upper resistor value may be tweaked a bit to get any desired value between 10 to 20 Hz at the output, so that most suitable infra sound effect becomes obtainable at the speaker channels.